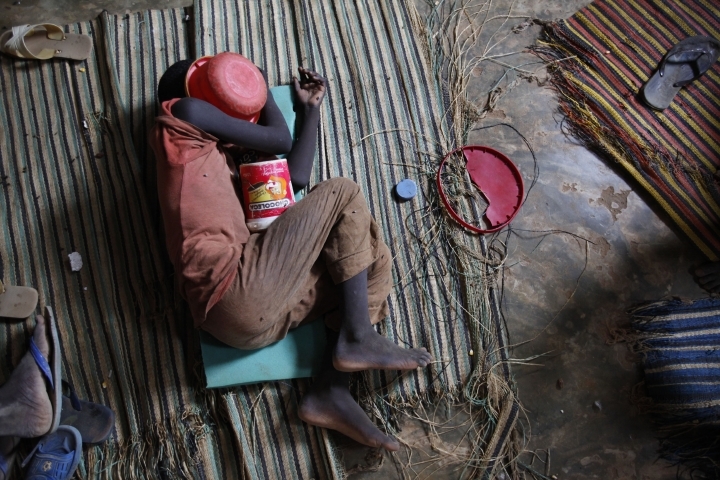 DAKAR, Senegal — Twelve-year-old Boubacar was picked up from the streets of Senegal's capital at night by police, along with dozens of other children, in the latest crackdown on begging. The boy was sent to this West African country by his family in neighboring Guinea to study the Quran at one of the capital's 1,600 Islamic schools, known as daaras. He is among thousands of students, or talibes, sent out by teachers to beg for money and food. Some schools have been accused of keeping the children in unsafe living conditions and abusing them. "I want to return to my family," Boubacar said at a transit center for street children. 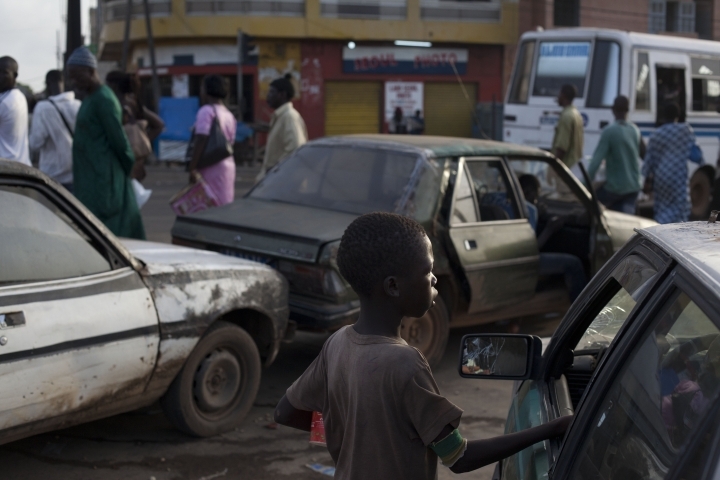 More than 500 such children have been taken from Dakar's streets in the past two months. President Macky Sall announced the crackdown in June and said the government will prosecute, fine and jail parents or Quranic teachers, known as marabouts, who are found guilty of abuses. "A child's place is not in the streets ... the children have rights to learn, and to be in good health," said Maimouna Balde, the director of Centre Ginddi, the main government transit center. On a hot summer day, dozens of children played games in a room and watched TV as authorities worked to find their families. Senegal has staged these crackdowns before. Because of resistance from some marabouts and a lack of prosecutions, the abuses have continued and unfit schools remain open. At least five children living in daaras died in the first half of this year from beatings or traffic accidents while begging, according to Human Rights Watch. Dozens of children have been beaten, chained, attacked or sexually abused while begging in the past two years, the group said. "While the government's recent actions are commendable, removing talibes from the streets will not lead to long-term change unless Quranic schools are regulated and offending teachers are held accountable," said Corinne Dufka, the rights group's West Africa director. Talibes represent some 90 percent of the roughly 30,500 children on the streets, according to Senegal's director of rights for children and vulnerable groups, Niokhobaye Diouf. At the Centre Ginddi, the children are registered, cleaned up, given clothes and fed. If they come from a daara, they go into Quran classes. They are then reunited with their families, or with marabouts who come to find them. If there's no sign of abuse, they return to the daara. Senegal's penal code outlawed begging years ago, and the country has ratified all major international conventions on children's rights. But previous efforts to enforce the measures on child beggars have fizzled. In 2010, the children were taken off the streets after the U.S., among other countries, threatened to cut off aid if Senegal did not address human trafficking. In 2013, after nine children died in a fire in a Quranic school in Dakar, the president said the government would close all schools that didn't meet basic safety standards. Months later, however, no teachers were in custody, and no daara had been shut down. Though arrests of marabouts accused of being abusive have increased slightly in recent years, rights groups say Senegal has prosecuted only a handful of extreme cases. "The death of talibe children as a result of corporal punishment and abuse by some Quranic teachers must no longer remain unpunished," said Mamadou Wane, president of the Platform for the Promotion and Protection of Human Rights, a coalition of 40 Senegalese children's rights organizations. Rights groups have said a failure to consistently enforce the laws regulating the school system has emboldened abusive teachers. Some teachers are pushing back against the latest crackdown. At a recent gathering of marabouts in Kaolack, one said the efforts to stop children from begging were anti-Islamic. "The retrieval of children from the streets must immediately stop," Hady Diakhate told the televised meeting, saying the children shouldn't be taken to transit centers. "The parents would prefer they were taken to the daaras ... talibes are Muslims, so they must be left in daaras. That is their place." Another marabout in a suburb of Dakar said he supports the government's efforts, but Quranic schools need more financial support to improve. "We welcome this decision, because it will bring order in Quranic schools. But the government must support Quranic schools by subsidizing and helping to recruit qualified teachers," said Imam Bousso. Diouf, the children's rights official, said most daaras are not a problem. He said the government is in talks with marabouts to determine what is needed to keep them safe and conditions good. It will provide limited cash and food to daaras and families in need until the next stage of the program is determined, he said. The government also hopes to one day create a select group of daaras that will have internet access and teach skills and subjects in addition to the Quran. "The state's concern is not to interrupt these practices," Diouf said of daaras. "It's to stop the mistreatment of children."